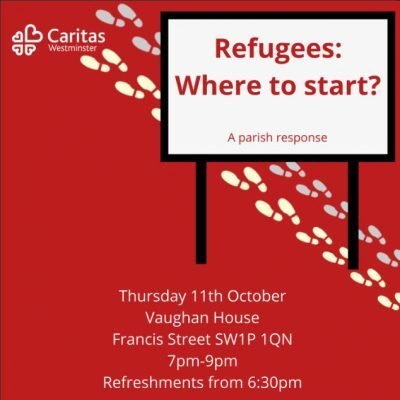 This Thursday, Nicholas Hanrahan, Community Outreach Officer at JRS UK, will be attending ‘A Parish Response to Refugees: Where to start?’, a Caritas Westminster event that will look at the different ways individuals and parishes can practically support refugees and asylum seekers in their local areas. The evening, chaired by Bishop Paul McAleenan, Auxiliary Bishop of Westminster and the lead Bishop for Refugees and Migrants of the Catholic Bishop’s Conference of England and Wales, will bring together several groups and organisations that work to support refugees and asylum seekers in a wide range of capacities. 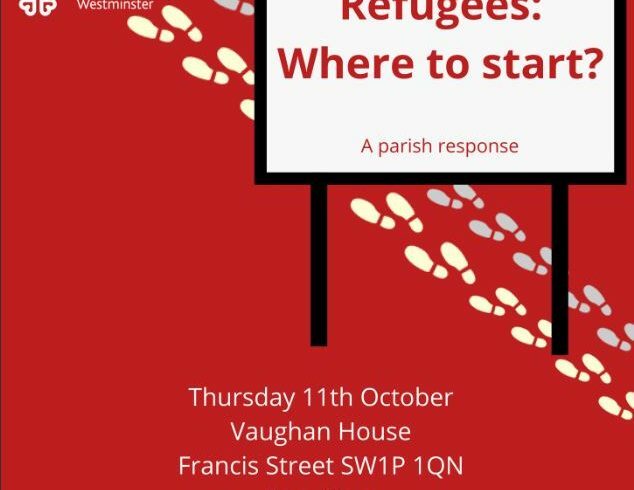 ‘A Parish Response to Refugees: Where to Start?’ is happening Thursday 11th October between 7pm and 9pm at Vaughan House.